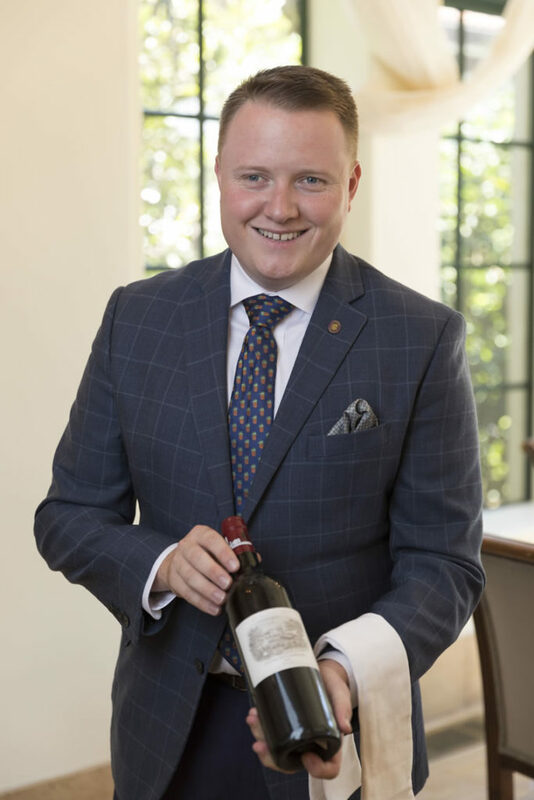 Ryan McLoughlin, head sommelier at Sea Island, discusses the pivotal role that beverage professionals play in the culinary world and what he enjoys most about his job. Although arriving at Sea Island in 2011 helped kick-start Ryan McLoughlin’s career, his love for food and drink started much earlier in life. At age 16, McLoughlin took a position at a country club, working as a dishwasher and prep cook before becoming an assistant banquet chef. Then he turned his attention to college, enrolling at The Culinary Institute of America, which he says was the best place to hone his skills. During his time at the institute, where he received a degree in culinary arts management, McLoughlin completed an internship at Roy’s restaurant in Hawaii. He also worked part time as a winery assistant at Clinton Vineyards in upstate New York, where he was involved in everything from harvesting, bottling and racking to cleaning out the tanks and selling wine in the on-site tasting room. further, named the head sommelier of the entire resort. Here, McLoughlin shares his thoughts on his career and offers tips for those who are interested in joining the industry. Sea Island Life: What inspired you to pursue a career as a sommelier? Ryan McLoughlin: I attended The Culinary Institute [of America] with the aspiration of becoming the best chef in America and, in my sophomore year, I had to take a wine class. It was a three-week, in-depth look into the world of wine and, at the end of that class, my head had been turned upside down: I had found that my true passion in this world was the beverage industry. SIL: Why do you think sommeliers play an important role in the culinary world? RM: I’ve always said—and I tell this to my team—that the sommelier’s role in a restaurant is [to be] the all-around player. They not only need to have knowledge of wine, but beverages, cocktails, food. … The sommelier’s role is an integral part of your dining experience. It’s what takes a good dining experience to a great and memorable one—how the sommelier can take the food that you’ve ordered and pair that with an exceptional, high-quality wine to really tell a story of what’s going on in the restaurant. SIL: What do you enjoy the most about your job? RM: As a chef, you get to cook this delicious food … and, when it’s taken out the kitchen door into the dining room, that’s the last chance you really have to see that dish. … Sommeliers get the chance to find some of the best quality wines for a guest, … but the sommelier gets the advantage of being able to see that guest enjoy it. And that’s really what makes me happy and makes me love what I do. SIL: What is the most challenging thing about being a sommelier? RM: I would say the most difficult thing is keeping up with the trends and with what is going on in the wine world. … We’re expected to know what vintages were good [in which years] in Argentina or South Africa or even Germany. So [we have to be] continuously studying, reading and learning. SIL: What do you wish that more people knew about sommeliers? RM: Some people may think sommeliers are just out there to sell expensive wines to you, but I look at a sommelier as a person who is there to guide you and to find the absolute best wine for you. Not the best wine in the world, but the one that is going to be the best for you. SIL: What is your favorite wine? RM: As a sommelier, I’ve had the advantage of drinking and tasting some of the most amazing wines in the world … and looking back over my last 10 years in this business, I would say that the most memorable wines, in my opinion … were incredible wines to start but most of the time, that wine had a particular person or place or group of people that I was enjoying it with. So … it is not just the wine that makes it amazing, but the company you’re in or your location that will really create that one-of-a-kind wine experience. SIL: What advice do you have for people who might be interested in becoming sommeliers? RM: The biggest advice I grant to young, aspiring sommeliers—which is more than we have ever seen before—is stay humble. You are never the smartest person in the room. You have to continue to educate yourself; the second that you stop learning, you have taken a step backward. 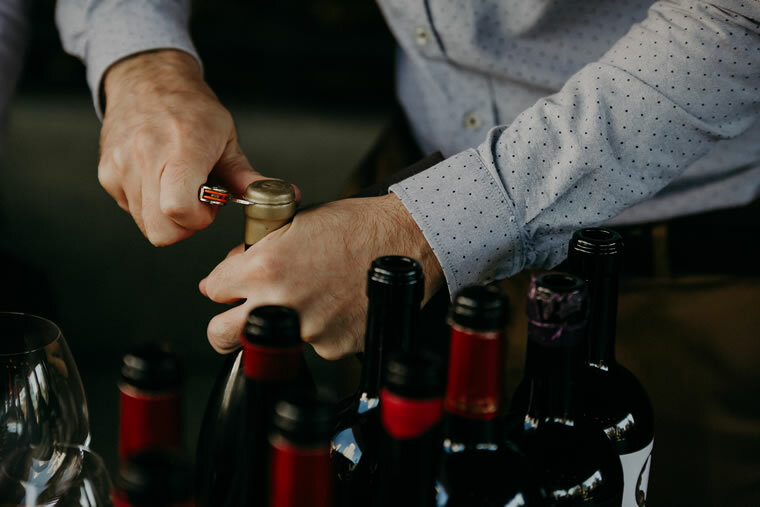 Introductory Sommelier: Specific wines and high-quality service are not yet factors, as students looking to earn this title learn about the world’s wine-producing regions and various tasting exercises. The exam includes 70 multiple-choice questions. Certified Sommelier: To become a certified sommelier like Ryan McLoughlin, head sommelier at Sea Island, students must pass a three-part exam, which includes a tasting portion, where students try to identify four wines; a service portion featuring real-world restaurant components; and a theory exam, which tests the students’ understanding of the wine industry and sommelier profession. Advanced Sommelier: Similar to the prior examination, the advanced certification also includes tasting, service and theory sections, but each is much more in-depth and complex. It includes a 50-minute written theory exam and six tastings rather than four. Master Sommelier: By far the most complex, this challenging certification includes an intensive tasting component paired with another service exam and a verbal theory test. Only 249 people have earned this certification worldwide since its inception in 1969.